Amunra is clean, super flexible and has a fully responsive design! This template sets the new standard with endless possibilities. Amunra is very intuitive, built with HTML5 & CSS3. The clean design can be used for any type of website; business, corporate, portfolio, blog, etc. 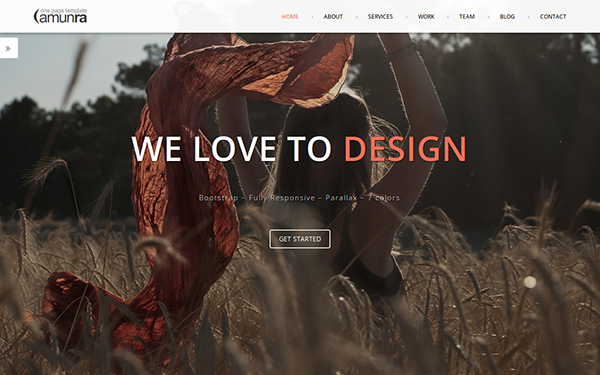 One Page Parallax Bootstrap Template. Item Reviewed: One Page Parallax Bootstrap Template 9 out of 10 based on 10 ratings. 9 user reviews.